According to a new study by G/O Digital, when people want to find out more about a local small business — they check Facebook more than any other social channel. 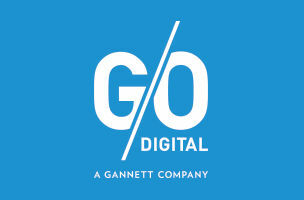 G/O Digital, a Gannett company, found that when asked which social channel users go to in order to find out about a local business, Facebook led the way at 62 percent. Pinterest was second at 12 percent, and Twitter third at 11 percent. In today’s world, Facebook is essential to daily communication. More than 50 percent of users are engaging with Facebook more than 6 days a week. If you’re looking at it as a small business, there’s a sense of fear and nervousness when it comes to a small business owner deciding to spend $500 or $1,000 on marketing. The fear isn’t about the marketing strategy, but about tossing money down the drain. Offers really provide a proof of success, that if you’re spending $500 or $1,000, then there’s actually a return on it. There’s less room for error with small business. But how often are people checking Facebook before visiting a small business? Very often. Among the 1,000 U.S. residents polled, 30 percent copped to checking a business’ Facebook page “several times a day” before stepping foot in the business. G/O Digital also found that offers proved quite successful for local businesses. By reacting to a relevant ad aimed at bringing people inside the business, they can reap a tangible benefit. 84 percent of those polled said that they believe offers or deals on Facebook are important in their in-store purchasing decision. Additionally, 59 percent of those polled said they visited the brand’s Facebook page at least once a week before choosing to make a purchase. Among those asked, 58 percent engaged with a Facebook ad from a local business at least once a week. Of Facebook’s ad offerings, the most influential in the purchasing decision is an offer (38 percent) with promoted posts or product videos/photos in second place (12 percent each). Restaurants (38 percent) have the highest level of Facebook engagement (in terms of response by those polled, not engagement rate), followed by beauty/spa and education/training (each at 14 percent). Additionally, and interestingly, the study found that the relevancy of ad targeting usually ended up trumping privacy concerns. The most influential Facebook ads that would lead to a purchase were targeted based on interests and past purchasing behavior. If you give me something of value to me that’s relevant, I’m not that concerned when it comes to privacy. I think that it’s really about the interactions. If you look at locally-relevant content as served up — something that’s personalized that someone finds of value, (that works). If you offer me $2 off a hot dog at a baseball game, I’d find that to be pretty relevant. I wouldn’t mind having my mobile viewing experience interrupted. But if I walk into a Walgreens and I get a coupon for a feminine hygiene product, I think the first thing I’m going to do is turn off my phone and delete the app. It all comes down to relevancy. Readers: How often have you engaged with a Facebook offer from a small business?